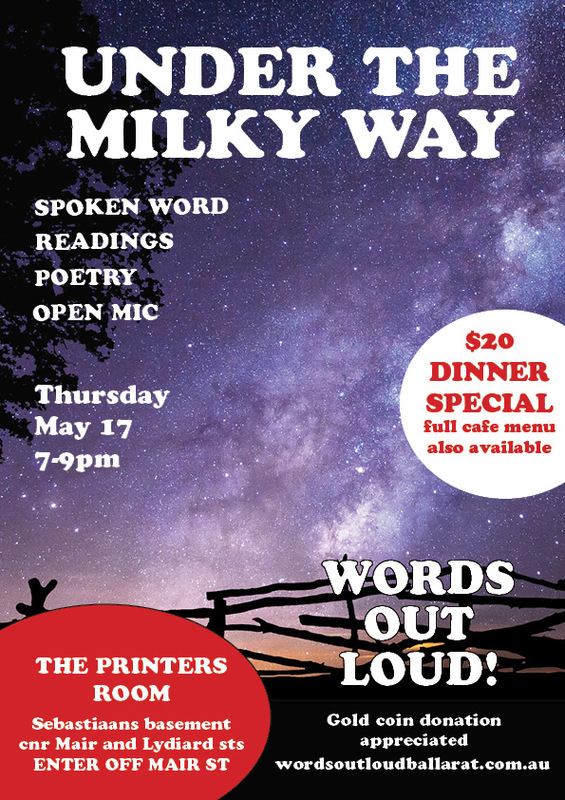 Words Out Loud is honing its edgy verse and taking the steel to its prose, as it seeks to “stay sharp” for its outing on April 19 at the Printers Room, in the basement of Sebaastians at the corner of Mair and Lydiard streets. 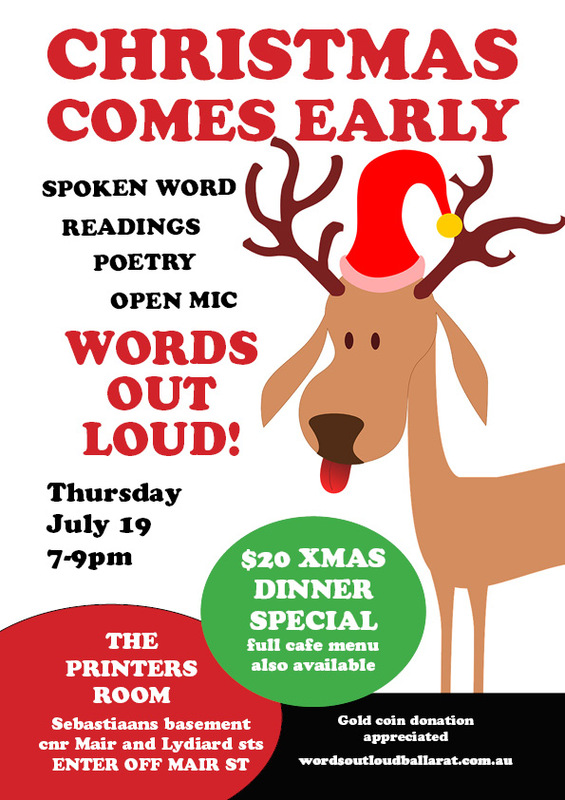 With the year s liding into the colder, darker months, the Printers Room is joining the party with food specials: all-you-can-eat soups and hot pot, with a pavlova dessert, for a mere $20! Slurp tasty tucker as well as delicious words!